Each Writers in the Schools (WITS) program is unique. Community Word Project in New York City is a great example. All of the WITS programs do culminating events to celebrate what students have learned over the past year. Community Word is the only group to transalate the groups writing into art. Here is one example of a community mural. 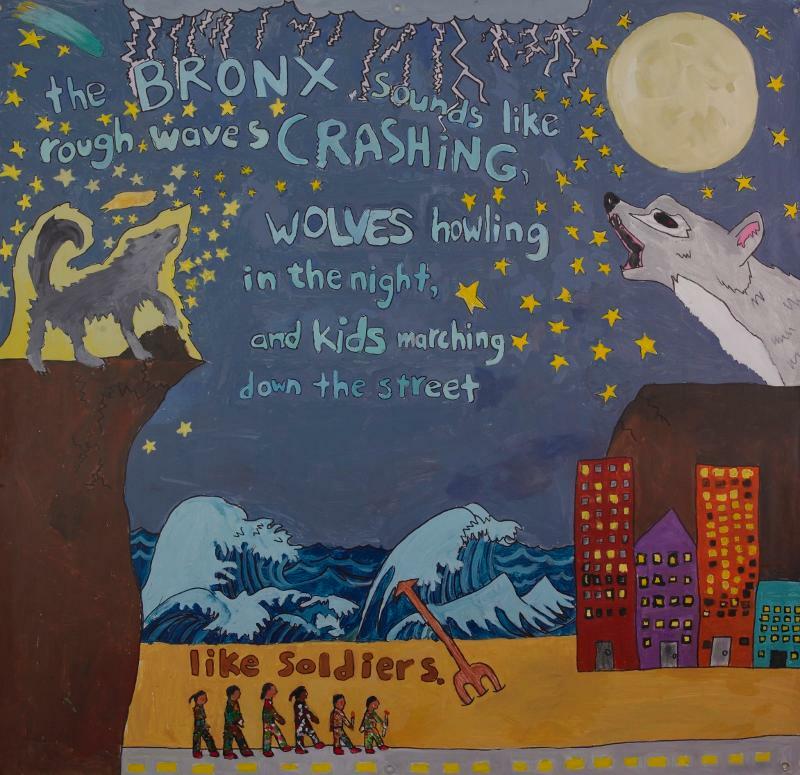 It was written and created by 7th grade students at PS/MS 279 in the Bronx. Community Word is led by the Founding Director, Michele Kotler.